Look at the wall hangings on your walls. (family portraits excluded) Post a photo of your favorite one and write about it on your blog. Where did you get it? Why do you love it? Here’s mine. I’ve got a lot of Beatles memorbilia. This is one of 6 posters, only 2 are up right now. 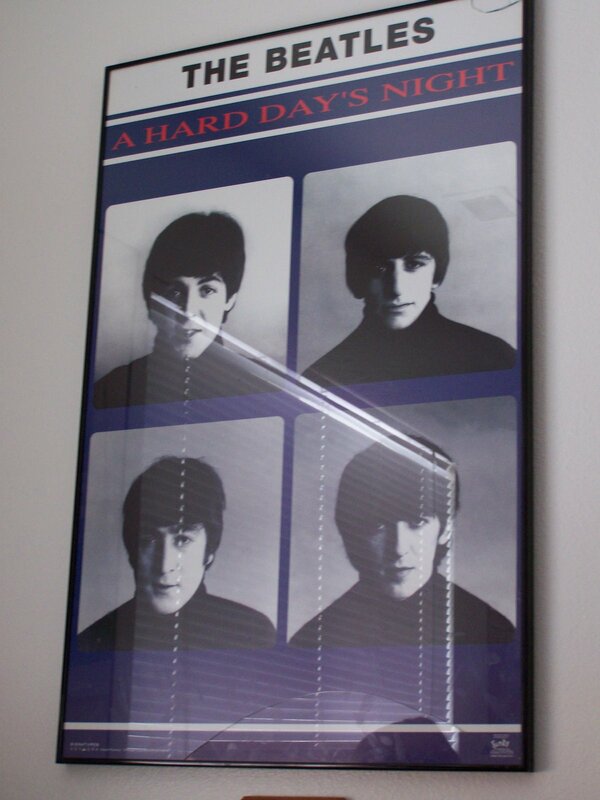 I collected them when I was younger – I did and still do love the Beatles but since I’m not 17 and decorating just my room anymore, lol, I don’t hang all my musical posters. But I’d have to say right now, that’s my favorite framed thing on my walls right now. This, and another print, are hanging in my office. Here’s to completing the first challenge! Hurrah!